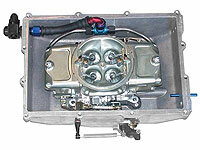 The housing features front and rear -8 fuel inlet ports as well as multiple locations for pressure/vacuum connections. 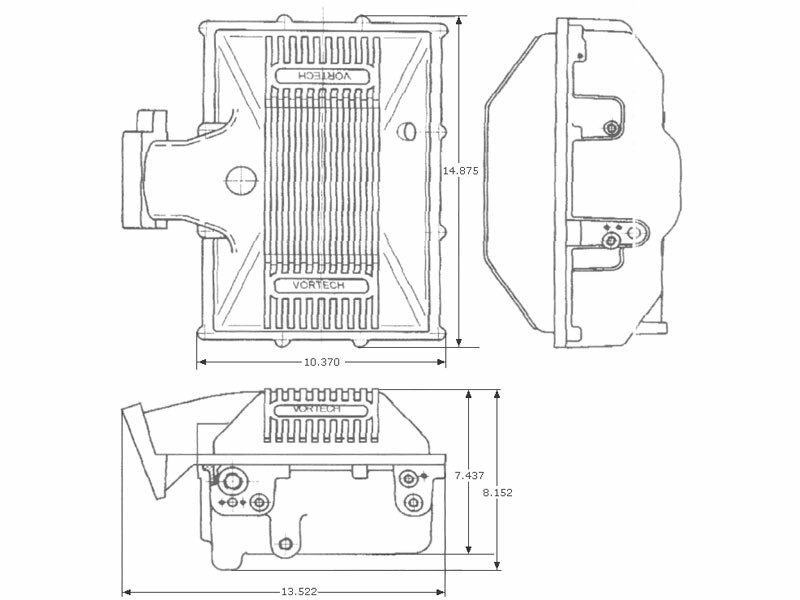 Linkage arms, splined shaft, and left/right hand spherical rod ends are included for simple throttle connection and adjustment. 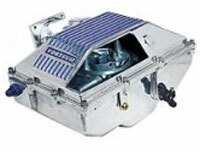 Optional fuel line kits are available. 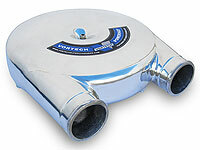 They include custom bent stainless steel lines, billet -8 bulkhead adapter with fuel pressure port and plug, -8/-6 junction tee, aluminium swivel hose ends and USCG approved fuel hose. 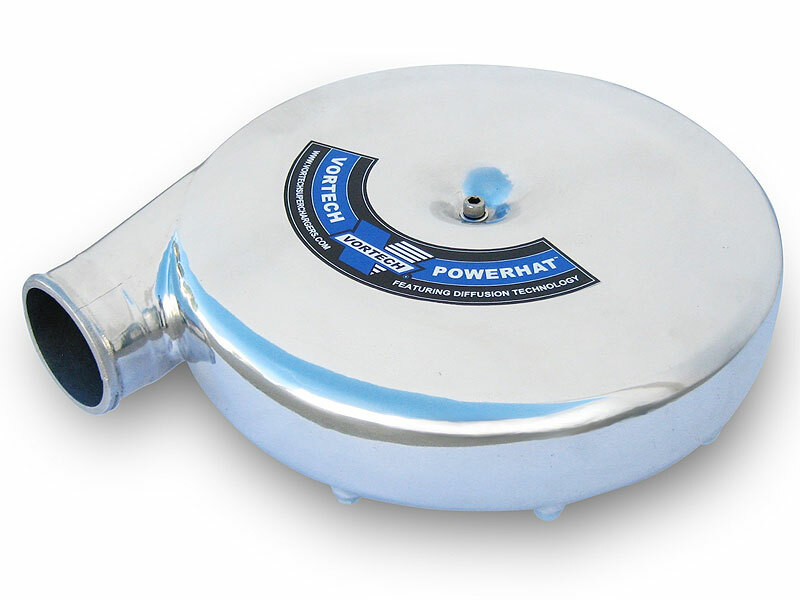 The Vortech PowerHat is a cast aluminum carburetor hat assembly designed to work on "blow-though" applications with Quickfuel, Demon or Holley 4150-type 4 barrel carburetors with mechanical secondaries (may require rejetting/minor carburetor modification). Unique low-profile design measures only 3.2" tall (overall height) and permits near-360 degree rotation for universal fitment. Diffusion Technology: Integrated air management features a diffuser element to reduce jetting and other issues associated with traditional "carb hats." 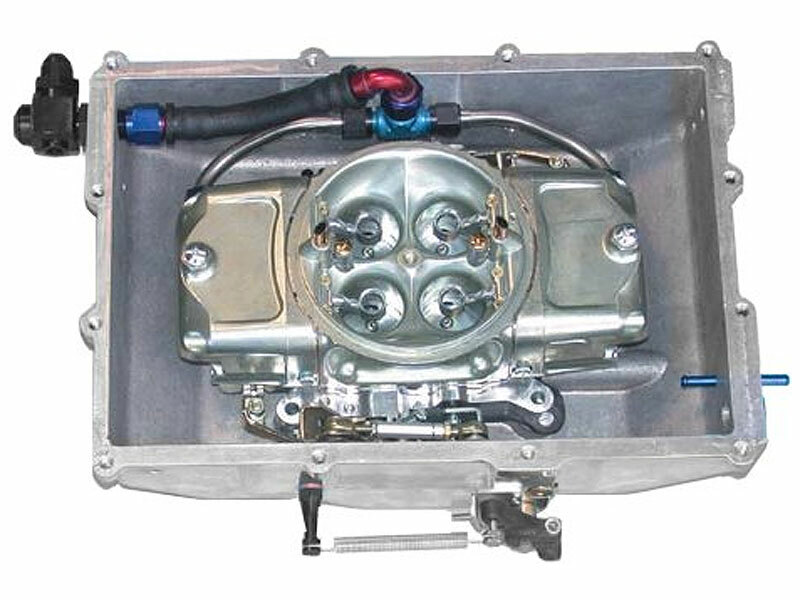 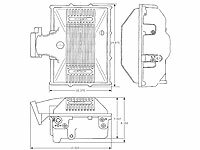 Includes sealing gaskets all necessary mounting hardware for attachment to Holley 4150-type carburetors (standard 5" filter mount).